It's not always convenient (or even possible) to connect to the internet. 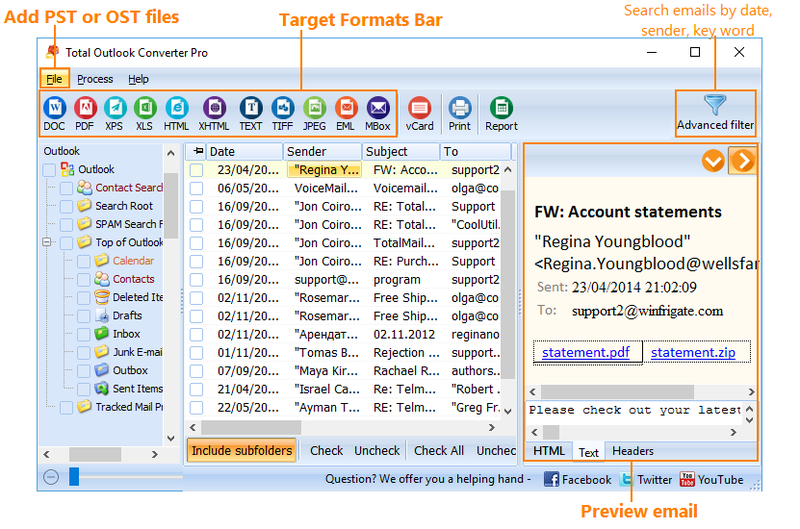 For this reason, Microsoft Outlook lets you save a local copy of your emails in the OST format. This allows you to access and work with your email data while offline, and later syncs to the server when you are back online. What happens though, when you need to share OST files with someone who doesn't use Outlook? Fortunately, with the help of our OST to PDF converter that is no longer an issue! 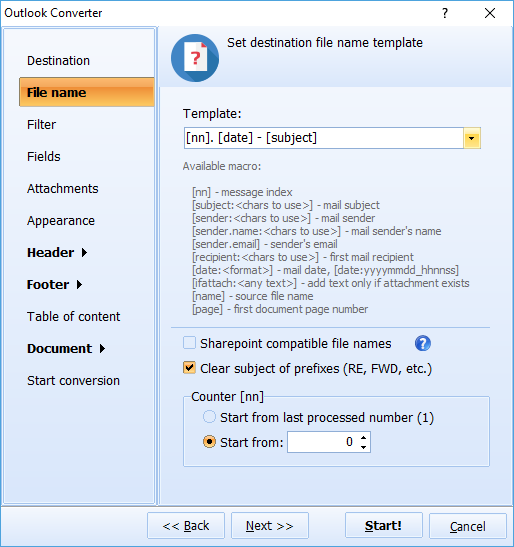 Combine several emails into one multipage PDF. Create searchable or non-searchable PDF/A. Here at CoolUtils the idea is to create programs that help you to easily accomplish things that might otherwise seem impossible. We listen closely to our user feedback and we're continuously upgrading our converters with the functionality that you need. 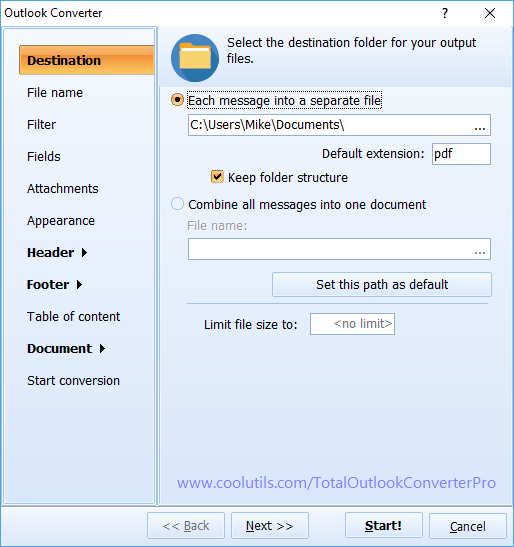 For example, unlike other programs the Outlook Converter Pro lets you convert your email attachments too! When you go to convert your OST files to PDF, you'll be given the option to convert your attachments to PDF or leave them as OST. Don't take our word for it - try it before you buy it! We offer a free 30-day trial version that will give you a better look at the GUI and you can experiment with the conversion process. If you like what you see and decide to get the licensed version, for just $99.90 you'll receive a lifetime license. 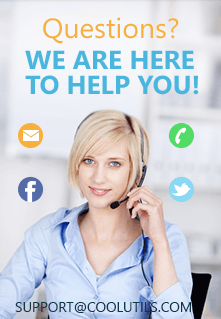 All upgrades are free during the first year and our support staff is ready to help with any questions you might have.